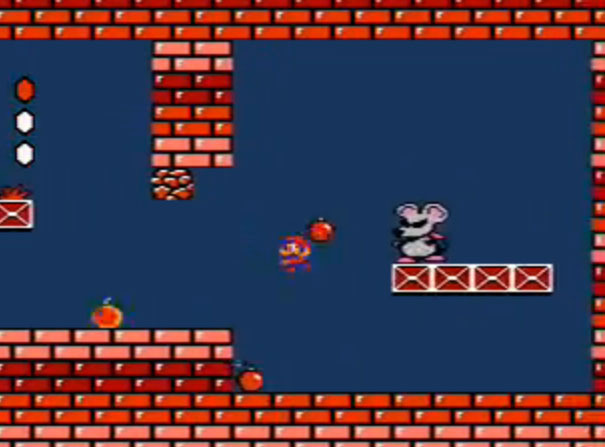 Mouser from Doki-Doki Panic/Super Mario Bros. 2. Reinhold Hoffmann: over at GA-HQ told me about a possible “Mario’s Blacklist” project to follow up the long running Zelda fan art series several months ago, and I instantly knew I wanted to do Mouser. This guy was always a badass and it’s really a shame we never got more of him. I’m pretty damn pleased with the way this came out. I might even go as far as to say it’s my best of 2014 so far, though I haven’t really drawn much in ‘14 so I guess that doesn’t mean much. I would be completely pleased with this picture had it not been for the awkward design of the brick wall behind Mouser. The bricks make the wall appear as if it’s curving out and a mistake like that is, I feel, inexcusable when you’ve been drawing as long as I have. I noticed it looked bad very quickly while working on the picture but I got lazy and pretended it wasn’t very noticeable. I should have taken the extra few minutes to fix it though, because it looks bad. Anyway, aside from that, I love the way this came out. My favorite part is actually the coloring on the floating metal platform he’s on. The texture came out exactly the way I wanted it to – a shiny and reflective old metal that is wobbly and dent-prone like some big old heating machine outside a building or something. It’s hard to explain, but it looks just like I hoped it would, and textures are something I feel I’m usually not too great with. He was awesome in the Super Mario Bros. Super Show, and his voice was perfect! Hell Yes, whenever I see submissions like that one there above made for one of the art collaborations here on Game-Art-HQ I know that it is something damn cool we are doing here! *High Five* @ Brendan, and thanks again to be a supporter of Game-Art-HQ and what I do here since 2011 already. Mouser was indeed a pretty cool little boss character and the battles against him (them) were both fun and challenging..back in 1988 and still today in 2014. 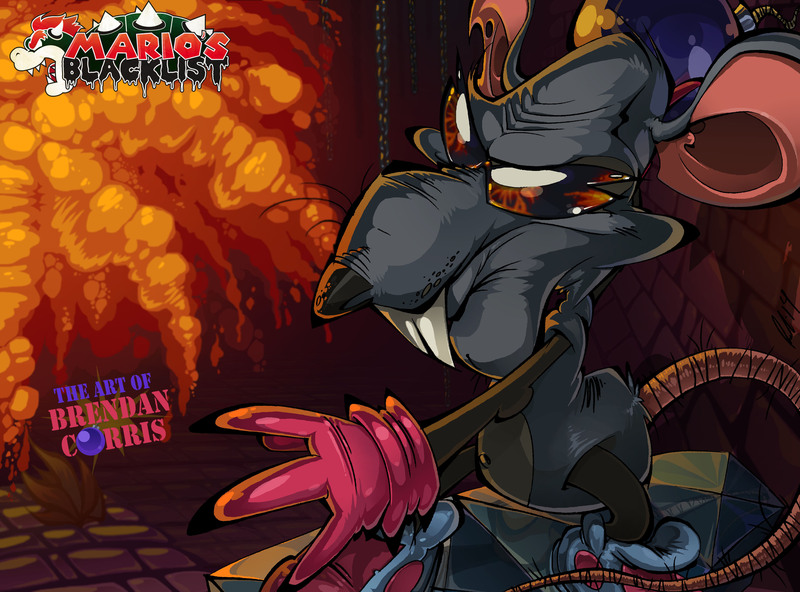 Like Brendan Corris mentioned, this foe was never seen again in a newer game beside the SMB2 remake/port Super Mario Advance. Quite a shame since him and some other SMB2 characters were really cool and could work in a new Mario game which would maybe again be Mario and his friends against Wart and set in a Dream World.